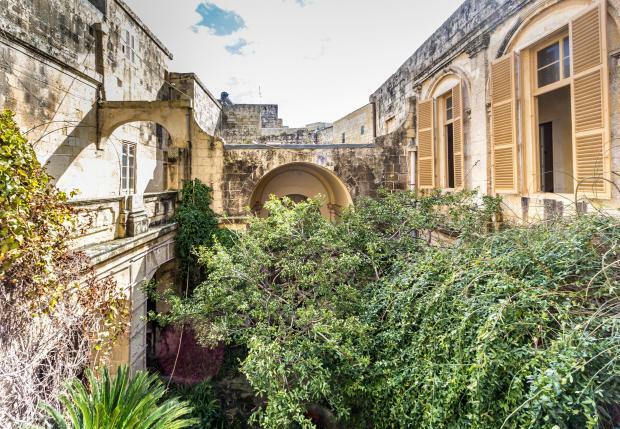 For decades, Mdina has been packaged as the silent city. And indeed, it is. Early morning, the sleepy-eyed hush is like a warm winter blanket – occasionally lifted by the creak of a balcony window opening, the patter and cooing of pigeons, and the boom of the cathedral bells which, after the initial drama, fade away into rippling echoes. And late at night, all you can hear are shadowy conversations ricocheting along the narrow streets and the whispering of lovers nooked in the cranny of the old bastions. Yet the old capital is far from silent. If you listen hard enough, you will hear the ancient stones exchanging stories that tell of centuries of occupation, battles lost and won, and the music from some noble gathering trickling down the balconies. And every house has a story to tell. 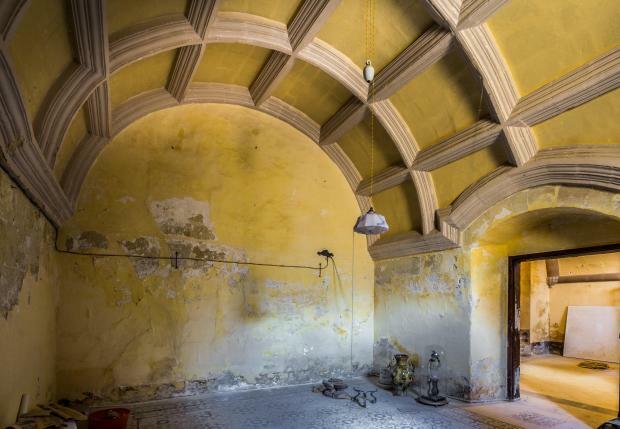 Mdina residents don’t inhabit a house – rather, they live a chapter in history. This enchanting palazzo – listed exclusively with Perry Estate Agents – is one such dwelling with a long history. Most of what is known about the palazzo was compiled by Shirley Jackewicz Johnson in her publication Splendor of Malta (Rizzoli International Publications, New York 2001). The author describes how the palazzo owes most of its present form to Canon Francesco Mangion, 12th Signore di Nigret – a fiefdom sold to the Order of St John in 1699 – who carried out various modifications to the dwelling. A Grade I listed building, the palazzo also served as temporary quarters to three sisters of St Dorothy, who had been exiled from Portugal. The sisters stayed at the palazzo until they were able to transfer their convent to Casa Mifsud. Also, during World War II, some 60 RAF pilots and other personnel were billeted at the palazzo – the resident family lived in a few rooms in the house, while the rest were at the disposal of the officers. The palazzo’s long history is reflected in its architecture. In his Restoration Method Statement, Perit Edward Said details the quintessentially Maltese Baroque piece of domestic architecture. However, this also incorporates other structures, some of which are significantly older than the 18th century fabric. 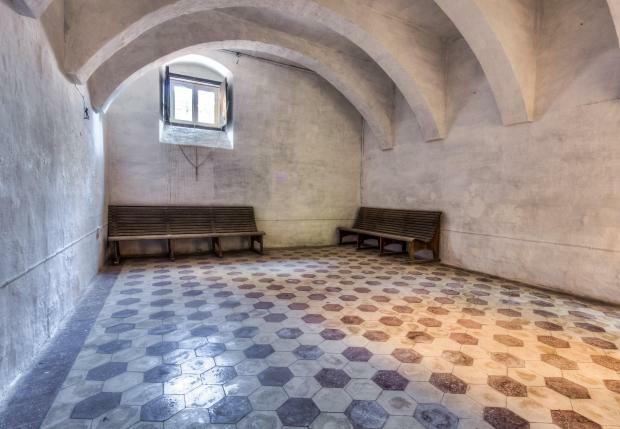 Perit Said also details how Canon Mangion had acquired abutting properties and amalgamated these into a new scheme, consisting of interconnecting chambers surrounding a rectangular courtyard fully cloistered at the ground floor. The first floor, reached through a grand staircase, includes various large rooms which once served as living quarters. There is also a cluster of rooms abutting the piazzetta and overlying the remissa. 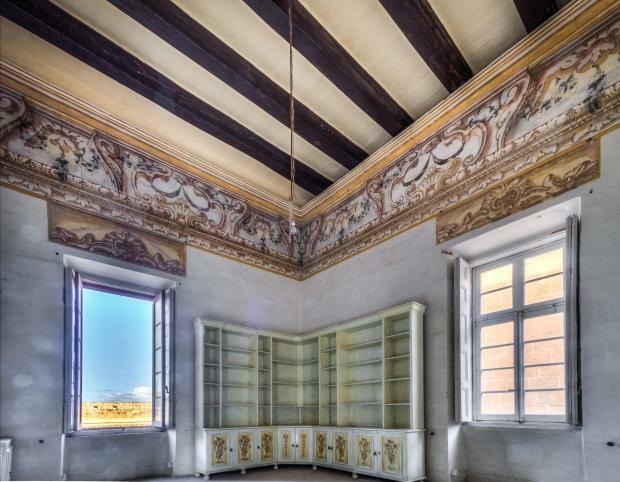 Most of the rooms at the piano nobile are decorated with wall frieze paintings, some of which Perit Said says are “exquisitely detailed with allegorical scenes and theatrical motifs, possibly by the hand of Nicolau Nasoni”. A long story indeed – indeed, this is just a foreword and yet more stories just wait to be rediscovered. For instance, the air-raid shelter, which lies beneath the house, is presently inaccessible, but will surely hold its own narratives. So do other rooms – all waiting to be discovered and retold. Perry Estate Agents are proud to present as exclusive agents this rare and inspiring opportunity to acquire the palazzo. This feature first appeared in the Perry Magazine, published by Allied Newspapers in collaboration with Perry Estate Agents. It is available from all Perry branches and key locations including the arrivals lounge at Malta International Airport. For more information visit www.perry.com.mt.